In the mid-19th century, a significant proportion of Army recruits were illiterate. But the growing technical demands of soldiering required educated men. To meet this need, a Corps of Army Schoolmasters was established in 1845. It was made up of senior non-commissioned officers, but overseen by a small number of commissioned officer headmasters and inspectors. The unit came under the remit of the Adjutant-General. Initially, it only taught soldiers. But in 1859, it was also put in charge of the Army’s libraries and schools. Following further Army reforms in the late 19th century, the unit’s focus shifted to training soldiers in a trade that they could use either while in the Army or on returning to civilian life. During the First World War (1914-18), its role expanded yet again. It conducted lectures and classes to keep men occupied while they were out of the trenches. It also organised courses to prepare men for demobilisation. One of its officers in the immediate post-war period was Captain Basil Liddell Hart, later a prominent military historian and strategist. In 1920, the unit was renamed the Army Educational Corps (AEC). During the inter-war years, it became mainly an advisory body as officers within regiments took over most of the direct teaching role. 1920 also saw it become a commissioned and non-commissioned officer unit. However, by 1938, its recruits had to be university graduates or qualified teachers. Since 1848, a separate corps of Army Schoolmistresses had also supported the work of the AEC. In 1928, this became the Queen’s Army Schoolmistresses. The AEC’s workload increased massively during the Second World War (1939-45) as the Army expanded. As a reward, it was granted the ‘Royal’ prefix in 1946. The post-war period saw the unit relinquish one of its duties to civilian teachers, that of teaching soldiers’ children in military and garrison schools. From 1962, its recruitment was also limited to commissioned officers. In 1970, the Queen’s Army Schoolmistresses was disbanded. 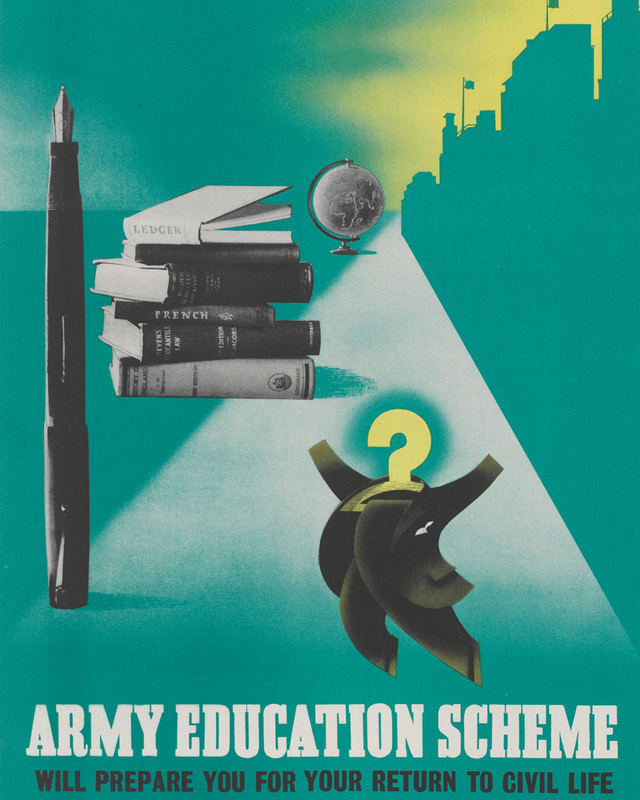 The following year, the RAEC became responsible for the Education Promotion Certificate, which prepared soldiers for promotion to non-commissioned rank. 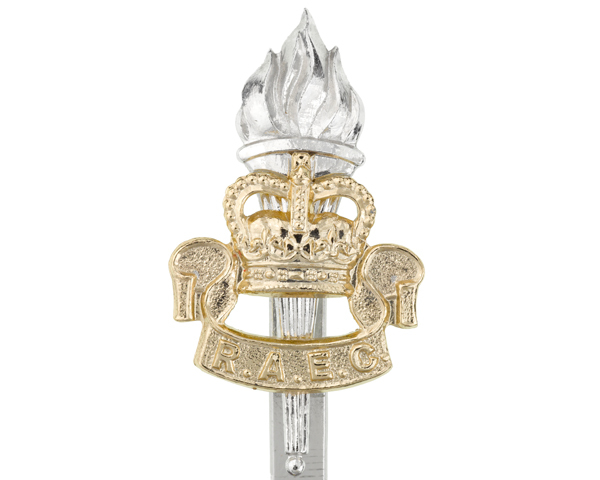 In 1992, the RAEC became the Educational and Training Services Branch within the Adjutant General’s Corps. And for the first time since its inception, it gained a motto - 'Animo et Fide' ('With Spirit and Faith'). 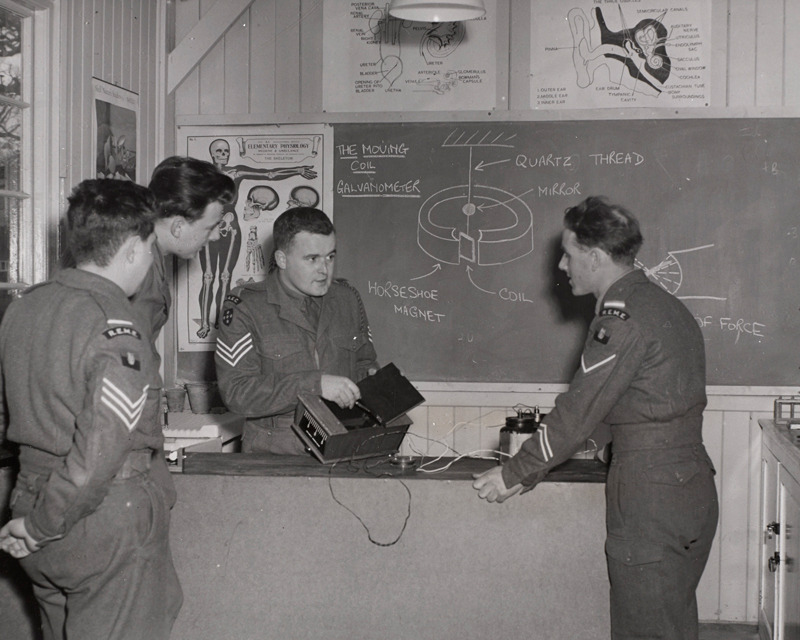 Explore the history and collections of The Royal Army Education Corps by visiting the Adjutant General's Corps Museum in Winchester. This British Army unit was originally formed in 1914. It is responsible for collecting, analysing and disseminating military intelligence and also for counter-intelligence and security.